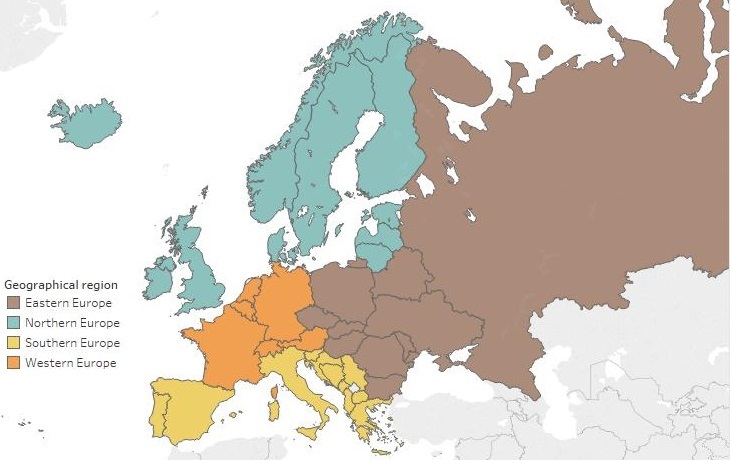 The European Network of Cancer Registries (ENCR) promotes collaboration between cancer registries, defines data collection standards, provides training for cancer registry personnel and regularly disseminates information on cancer incidence and mortality in Europe. The ENCR is in operation since 1990 and was established within the framework of the Europe Against Cancer programme of the European Commission on the initiative of the International Agency for Research of Cancer (IARC), Association of Nordic Cancer Registries (ANCR), International Association of Cancer Registries (IACR) and Latin Language Registry Group (GRELL). The project was supported by the European Commission (SANCO) until 31 March 2004. Funding for ENCR activities was also received from Cancéropôle Rhone-Alpes for the years 2007, 2008 and from the Seventh Framework Programme of the European Commission through the EUROCOURSE project in 2009-2012. IARC co-funded the ENCR since its inception until the end of 2012. In 2012, the two Directorate-Generals of the European Commission (DG SANTE and the DG JRC) entered a formal collaboration to address actions in support of the ENCR, paving the way towards further coordination and harmonisation of cancer data in Europe. The support has also ensured the continuity of the ENCR secretariat, including the administrative functioning and networking of the ENCR. to promote the use of cancer registries in cancer control, health-care planning and research. The ENCR is governed by the Steering Committee; terms of reference of the Steering Committee are available here. ENCR is supported by the European Commission and the ENCR Secretariat is hosted at the European Commission's Joint Research Centre. ENCR is affiliated to the International Association of Cancer Registries (IACR). Membership of the European Network of Cancer Registries (ENCR) ensures systematic and standardised collection, utilisation and promotion of cancer data. The Membership criteria have been updated recently by the ENCR SC, by introducing a new associated membership category. The criteria for full and associate membership criteria and associated benefits are outlines below. • have completed the ENCR questionnaire within the last 5 years (e.g. the membership questionnaire, or the 2015 ENCR-JRC Call for Data Questionnaire), and update the information on request. Non-population-based registries, networks of registries, cancer institutes and entities involved in cancer research, and organisations supporting cancer registration or cancer research, such as cancer patients' organisations, can apply for Associate Membership. This type of membership can include entities from countries belonging to the WHO European region. The nominated and elected members serve 3-year terms, with the possibility of renewal once. The co-opted members serve 1-year terms, with possibility of renewal twice. New rules for the election of ENCR Steering Committee members have been approved by the ENCR Steering Committee on 17 January 2019. These rules will be applied at the next elections, in 2021.